Four of last year’s CLIFF-GRADS recipients from Argentina have chosen to share their research stories with the Global Research Alliance on Agricultural Greenhouse Gases. All four CLIFF-GRADS awardees have emphasised the importance of becoming familiar with new research techniques and the promotion of international bonds as highlights of their time abroad. To read more about the CLIFF-GRADS experiences of the Argentinian awardees, please click here for photos and summaries penned by the students themselves. CLIFF-GRADS is a joint initiative of the CGIAR Research Program on Climate Change (CCAFS) low emissions development flagship and the Global Research Alliance on Agricultural Greenhouse Gases (GRA). CLIFF-GRADS aims to build the capability of early career agricultural students in developing countries to conduct applied research on climate change mitigation in agriculture. CLIFF-GRADS integrates the GRA’s Development Scholarship and the CCAFS Climate Food and Farming Research Network with the common goal of providing grants to graduate students to expand their knowledge and experience in quantification of agricultural greenhouse gases. Research projects are hosted by CCAFS and GRA members and partners. Funding for CLIFF-GRADS is provided by the Government of New Zealand and by the CGIAR Trust Fund and bilateral agreements in support of CCAFS. To read more about the CLIFF-GRADS initiative, please click here. We are pleased to announce that we have added more Member Country pages to the GRA website. 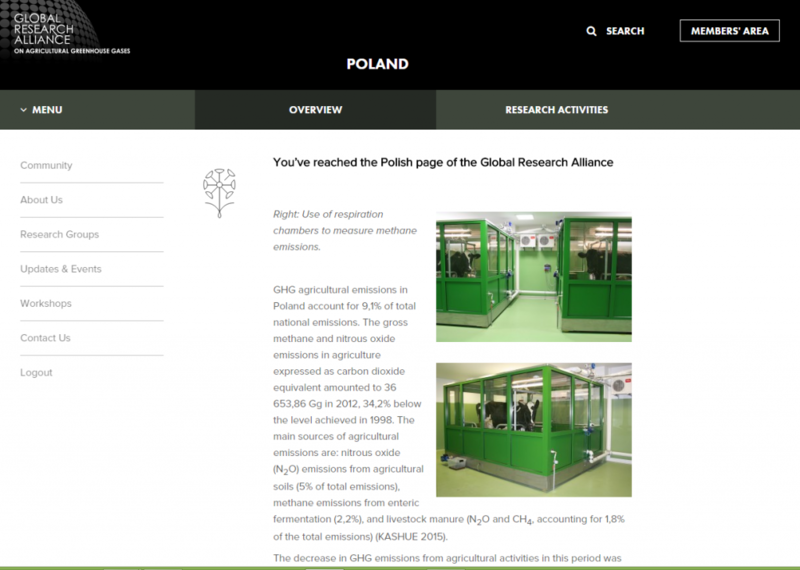 Have a look at the links at http://globalresearchalliance.org/community/ to learn about agricultural GHG mitigation and Global Research Alliance involvement for Argentina, Malaysia and Poland. More country pages are also to come!